Tungsten carbide wedding bandsare becoming more and more popular for men when it comes time to choose a wedding ring to signify their commitment. There are a great number of reasons their popularity has exploded recently, such as their inexpensiveness, their durability, and the wide variety of styles they come in. Tungsten carbide makes a great alternative to the traditional precious metals—silver, gold, and platinum. With a molecular density that rivals and sometimes even exceeds that of costlier metals, tungsten carbide rings retain the weight and feel of expensive jewelry, without the outrageously inflated cost of commodity metals, which are artificially manipulated by currency markets and investors. 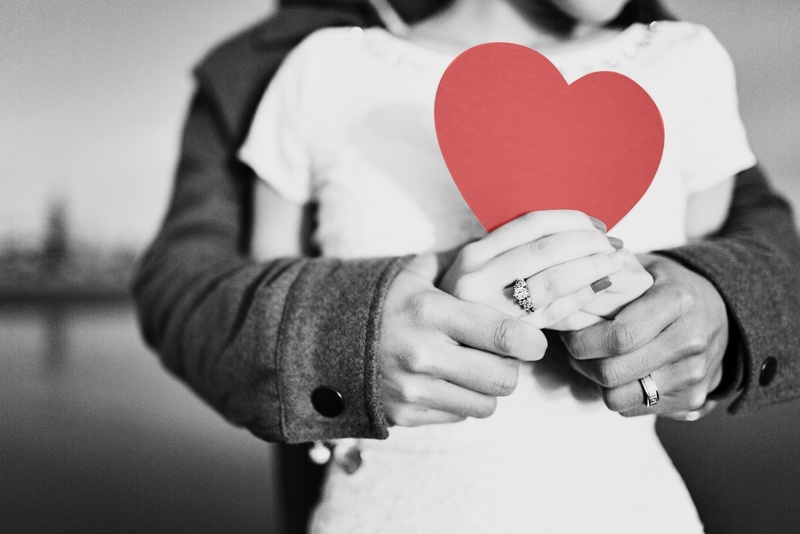 The inexpensive nature of tungsten carbide rings lends itself well to rings worn by men, as men take their rings off and on much more than women, due to using their hands more often, either for work or while practicing a hobby. That way, losing or misplacing one doesn’t sting as much, as replacements can be had very cheaply. Tungsten carbide is also extremely durable. Outside of any fantastical metal out of a science fiction movie or a comic book, tungsten carbide is one of the closest things out there to indestructible. On the Mohs scale, used to gauge and organize the hardness of minerals and metals, tungsten carbide measures at the top of the list, just under diamond. A material can only be scratched by something harder than it is, meaning that a tungsten carbide ring is impervious to damage or marring from almost everything else on Earth. This lets you stick your hands wherever you’d like with impunity. So, go ahead and reach into an engine bay, work on masonry, and use whatever tools you need to—all without worrying about scratching the finish on any black tungsten wedding bands. Tungsten carbide was originally unsuitable as jewelry because the extreme toughness of it made it impossible to work with. 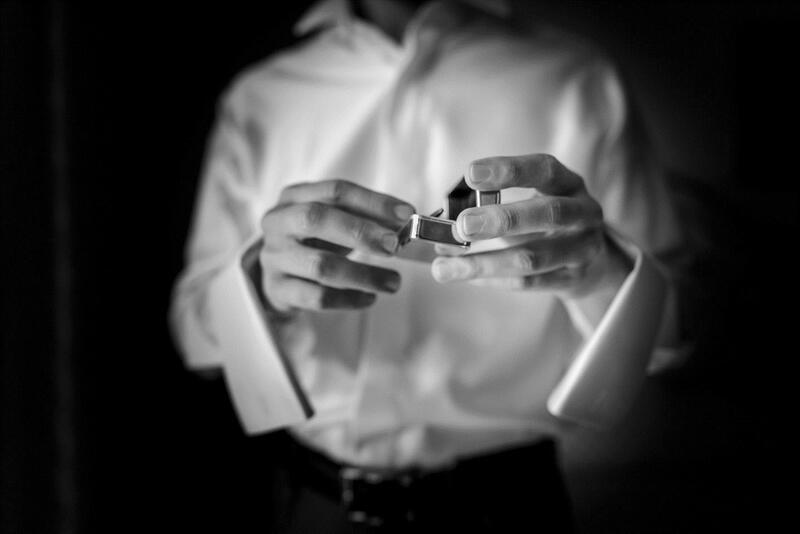 It was too hard to manufacture the rings and, once they were made, they were unable to be altered in a meaningful way. As manufacturing and fabricating techniques advanced and were refined, however, this changed. Now it’s possible to create rings in just about any style you can imagine, from plain bands without any decoration to rings bearing a faceted design or even rings that have an inlay of an entirely different material, like wood, antler, bone, or even a precious metal, for those of you that need to have some flash and bling on their ring. Setting precious gemstones into a tungsten carbide ring is well within the realm of possibility, as well, either by drilling out the space for the gemstone and setting it in flush, setting it alongside other precious stones in a channel setting, or loading the gemstone in a tension setting where it looks like it’s floating between the two ends of the ring. The only type of setting that can’t be done in a tungsten carbide ring is the prong or “Tiffany” setting, where the precious stone is held in a claw-shaped binding that keeps it above the surface of the ring. There is are a lot of myths about tungsten carbide rings, brought about by their relative newness on the jewelry scene and an accompanying lack of understanding by the general public. One such myth is that, in the event of an emergency, a tungsten carbide ring is impossible for the emergency room doctors to remove safely. While it’s true that no saw can cut through a tungsten carbide band in the same way as the emergency room staff would be able to cut through a gold ring, the idea that they cannot be removed at all could not be further from the truth. The extreme hardness and scratch resistance of tungsten carbide mean that it has very little flex, and a suitably forceful impact will crack the ring in half. It is a relatively simple matter for the emergency room staff to remove a ring from your finger by simply breaking it. Another common complaint of tungsten carbide rings is that they are impossible to resize. It is true that, once made, a tungsten carbide ring cannot be resized due to the fact that they are fired into shape from tungsten and carbon powders and are unable to be cut and resoldered once made. However, most companies that sell tungsten carbide rings recognize the limitations of this, understanding that the size of a finger can change somewhat over the lifespan of the owner. 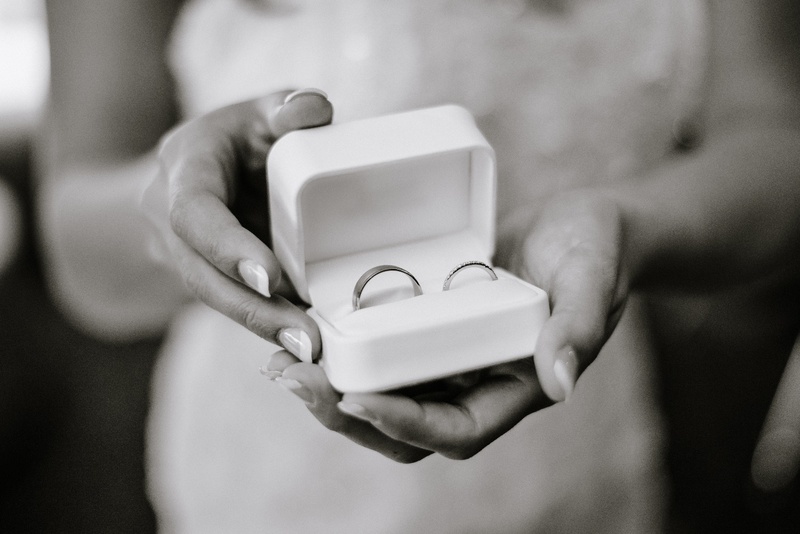 For this reason, many jewelry companies that specialize in tungsten carbide rings will offer free replacements of your style of ring in a new size, either an unlimited amount of times over the course of your life or for a fixed number of replacements. 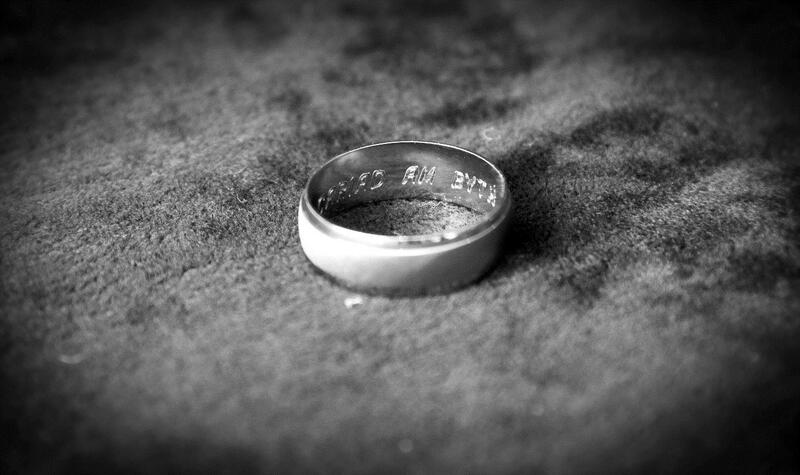 The relatively common belief that tungsten carbide rings cannot be engraved is another myth. It is true that tungsten carbide rings cannot be engraved in the traditional method, by using a tool to remove an amount of material, leaving behind a channel that cuts a design into the surface. 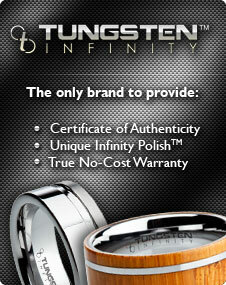 That does not mean that tungsten engraved rings are left to exist only in the imagination. The tool used to engrave a tungsten carbide ring is just as modern and fantastic as the process by which the rings are made in the first place. The method used to engrave tungsten rings is to utilize a laser. Laser engraving has many advantages over the traditional technique of removing material. First of all, a laser engraving is flush with the surface of the ring. This means that there are no indentations left behind for dirt and grime to gather, and no chance of weakening the ring by accidentally taking away too much material. Laser engraving applies no force to the ring and uses a computer-controlled laser to precisely etch the message onto the surface of the ring. This leaves behind a crisp, clear, and very readable imprint that sits flush with the ring and can’t be felt even if you run your thumb directly over it. This is achieved by the laser burning the surface of the ring, bringing the carbon to the top and making your message readable. While traditional engraving is still possible on a tungsten carbide ring, the options are very limited. Because a diamond-tipped engraver must be used, due to the extreme hardness of tungsten only very thin lines are possible. Since the vast majority of jewelers tend not to have computer-controlled engraving equipment on hand in-house, your traditional engraving might possibly be done by hand, leaving you with less than stellar results. Engraving on your tungsten carbide ring can take just about any form you might imagine. Whether you have a slogan, phrase, name, or particular design you want to have etched into a ring, laser engraving can do that. If you have a custom design or motif you want used, our craftsmen have years of experience and are masters of the art. Although engraving is possible on any color of ring, for best results, start with a tungsten ring with a black finish so that the lighter design will stand out more. Other things to consider are the width and surface of the ring where you want the engraving to go. While engravings can be done both inside and on the exterior of a ring, keep in mind that if your ring has an inlay, faceted finish or any other sort of design or special finish, your laser-etched engraving might not show up as well as it otherwise could.